We thank you for your business! We want you to enjoy the character and beauty that comes with reclaimed wood. We do our best to ensure that our reclaimed wood products are of high quality, but is impossible to eliminate all the risks associated with using reclaimed wood. So before using Peroba’s reclaimed wood or reclaimed wood products, please review the disclaimer. Reclaimed wood may have certain aged characteristics including but not limited to: color variation, nail holes, mortise holes, insect holes, oxide stains, livestock cribbing (chewing), staining, tapering, wane (not squared) yet all these variations contribute to it’s vintage character. These imperfections should be expected as part of the character and beauty of reclaimed wood. Due to primitive machinery used at that time, when we reuse that material, the dimensions can vary from one end of the timber to the next, not like modern day milled lumber which is very precise methods of modern day technology. Appearances of reclaimed wood can also vary from board to board even if it is from the same lot. Our imagery and samples are shown so one can see the general type and quality of the products. These samples do not represent that the products would necessarily conform to the sample. 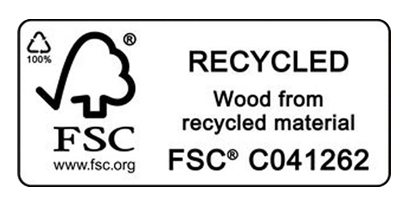 Our reclaimed wood has not been certified as structurally sound by a certified grader. Peroba, Inc. cannot guarantee the species of any of the wood we offer for sale. We can give you our “best guess” but this by no means guarantees the species of a particular piece of wood. Reclaimed wood comes from buildings that have been disassembled. Therefore, there exists the possibility of nails and other objects in the wood, both metallic and nonmetallic. Peroba, Inc. does not guarantee reclaimed wood to be free of metal, dirt, lead, or other contaminants. Precautionary measures such as the use of safety goggles, mask, gloves etc. are recommended when cutting and milling reclaimed wood. Paint used on houses prior to 1978 was known to be lead-based. It is unknown whether or not past barn owners used lead based house paint on the barn wood. We recommend that you exercise caution if using reclaimed painted wood in a common area with children. Reclaimed wood comes barns and houses that were built many years ago. Over that period of time, they have been exposed to many things. The possibility of insects, mold, or fungus can exist. Reclaimed wood and other natural products sold by Peroba, Inc are not warranted against insect habitation, mold, or fungus. Wood is a natural product that responds to temperature and humidity variations by expanding and contracting. Sometimes these changes may be noticeable in the physical appearance of the product. Although every care is taken to ensure our products are able to handle temperature and humidity changes, the conditions of your home can affect the wooden products you buy from us. Your items can experience small movements and cracks as it adjusts - this is not a fault, but a natural occurrence within the fibers of a natural product. We advise you to keep the product in consistent, stable conditions to minimise the effects of temperature and moisture change in the atmosphere. For example, avoiding placing the product close to a heat sources such as a radiator or oven will go a long way to ensuring the longevity of the product. Hold Requests: Merchandise can only be held with a non refundable deposit. Deposits are non-transferable. Return Policy: No returns are accepted. All sales are final. Please carefully examine the description of the products ordered. This Invoice is used as the cut list, which means your order will be manufactured in accordance with the information provided on this Invoice.